Had a loaded U—Haul trailer attached to our car at Lake Martin cabin. Our vehicle would not pull the loaded trailer up the sandy drive...we were stranded! Jesse at Henderson Towing responded very quickly to our call and pulled us to level ground where he disconnected the tow chain. But he didn’t go on his way and leave us until we were to the paved road!! 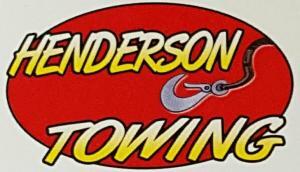 We give the very highest praise to Jesse and Henderson Towing!!!! Took care of my motorcycle like it was their own. Very fast, courteous service. I was stranded at Willow Point with a flat tire and no spare tire. Called Henderson and they were on the way in short time. Towed my car and me home. VERY professional, courteous, and friendly. I would recommend these guys. They will save the day! Towed my car to auburn excellent service fast and friendly. Found myself in a bind Friday night when I backed my boat and trailer off the edge of the boat ramp. The trailer sat right down on the concrete and I couldn't move the truck forward or backward. The driver showed up way ahead of what I expected and made it look easy. I was very pleased with his professionalism , knowledge and courtesy. Shut up and take my money,... a small price to pay. I can't thank you enough for what you did. Good to know who to call when you need a fast tow. Thanks for towing our truck and travel trailer from your area back to Georgia! Thanks for getting the equipment and manpower that was required,along with good rates. If you want fast and affordable and friendly service, this is the towing company to call. I Would highly recommend them.